For Mildly Intense Savers (maybe a little more than mild)! 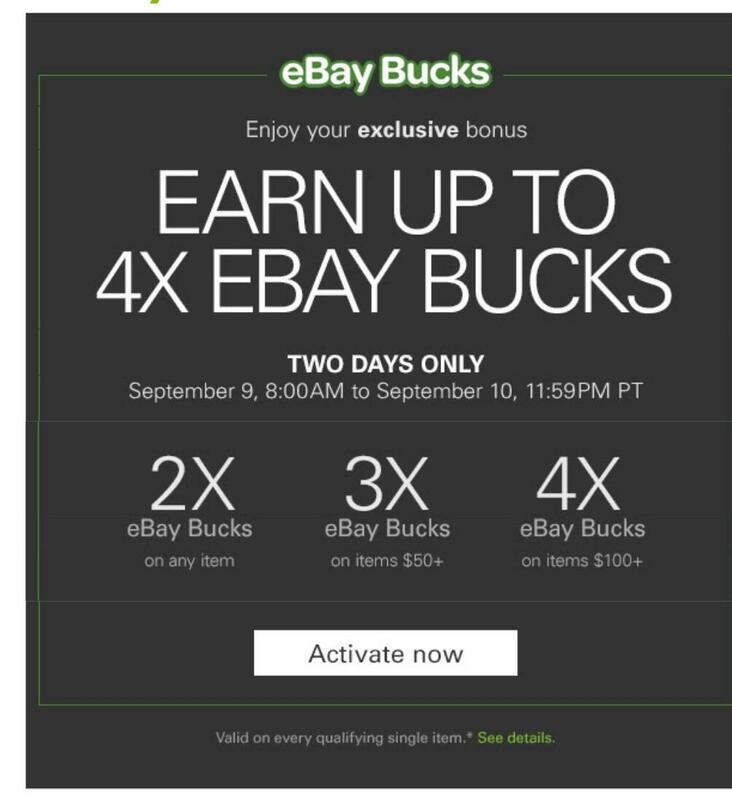 Check your emails for an offer from eBay for extra eBay bucks. 4x eBay bucks on any item of $100 or more. Check out Doctor of Credit's post on targeted eBay Bucks promotions. This a multiplier of the regular 2% eBay Bucks so 4x is actually 8% in eBay Bucks! No eBay bucks given for eBay gift cards, but most other purchases earn them. eBay bucks can be used for later purchases and can be very valuable, especially when buying discounted gift cards. Should I Post Low Margin (~5% Return on Investment) Deals Knowing that Some Buyers May Get Burned? 5% Cashback on Purchases from Amazon! MacBook 13" on eBay for $800 - Back on Sale! Up to 5x (10%) eBay Bucks - Today and Tomorrow!